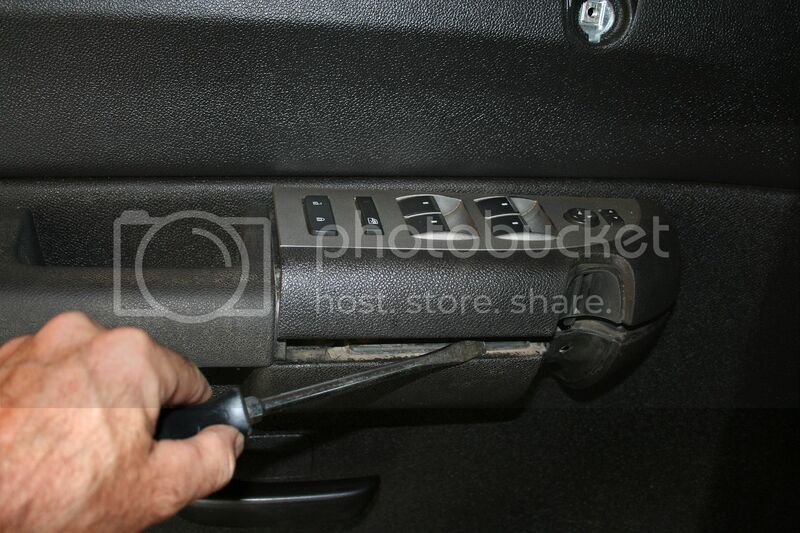 Technical Car Experts Answers everything you need: How to replace door lock switch on Chevrolet silverado? 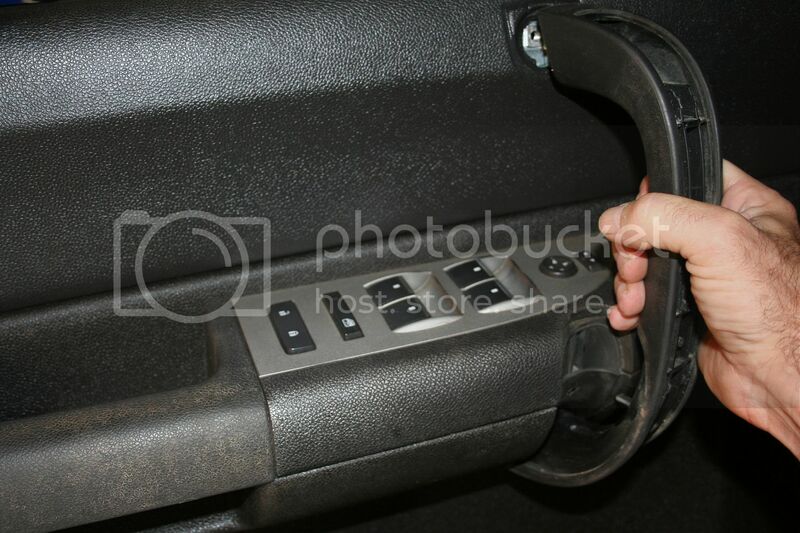 How to replace door lock switch on Chevrolet silverado? It must be the switch. Click this bar to view the original image of 800x533px. After receiving the switch from the dealership. I compared it with the one in my truck. First step. Pry the door handle cover off with a wide blade slotted screwdriver. 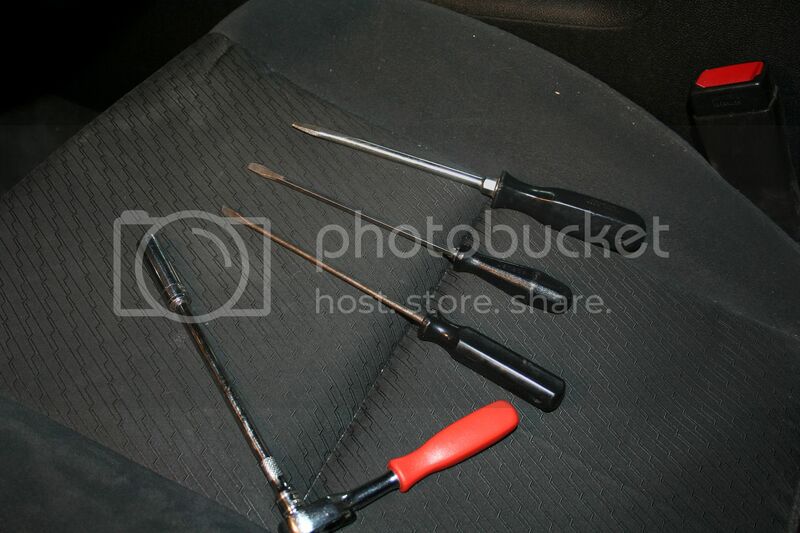 With some upward force, begin to gently twist the screwdriver to pry the cover off. Here is what they look like. Take extra care. 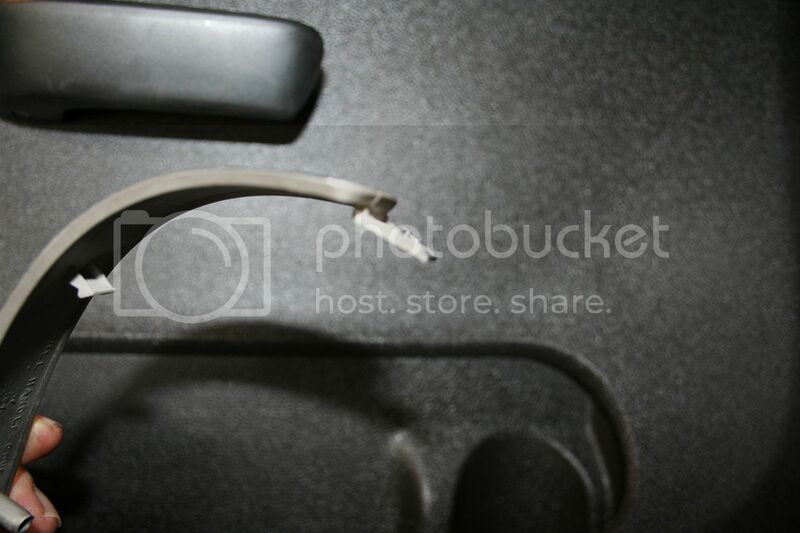 the mounting tab can easily break. 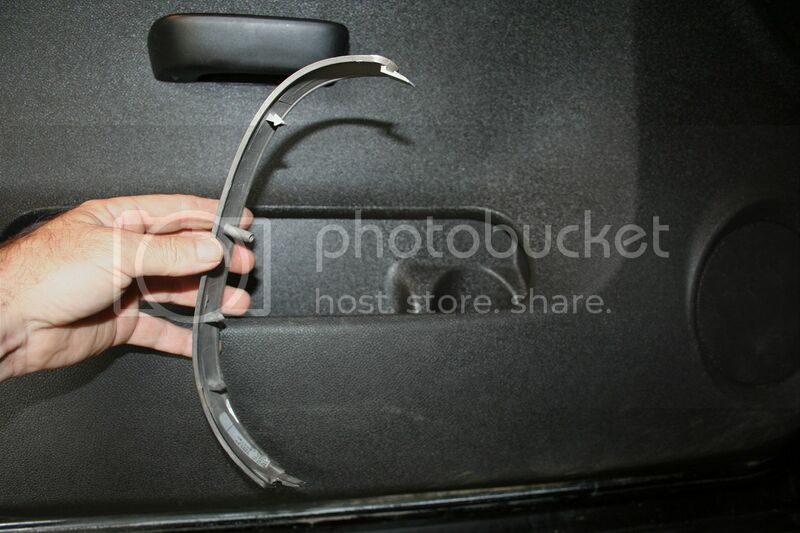 With door handle gone. 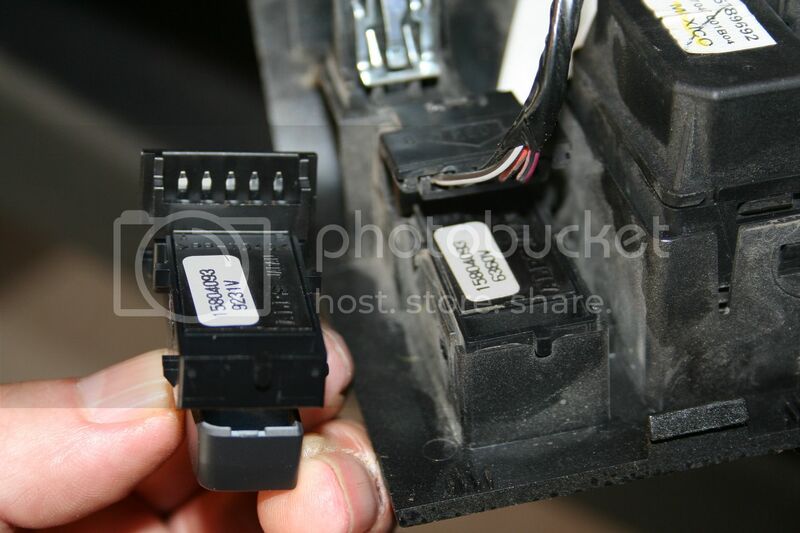 Now you can pry the door console up to gain access to the wiring harnesses. Again, I compare the new with the old. Very important Note the tabs on the side of the switch. Click this bar to view the original image of 799x531px. Using you sharpest and thinnest flat blade screwdriver and spread the sides to allow clearance for the switch to come out. Don't pry it out, insert the scrwdvrs then lift the switch out of it's home. 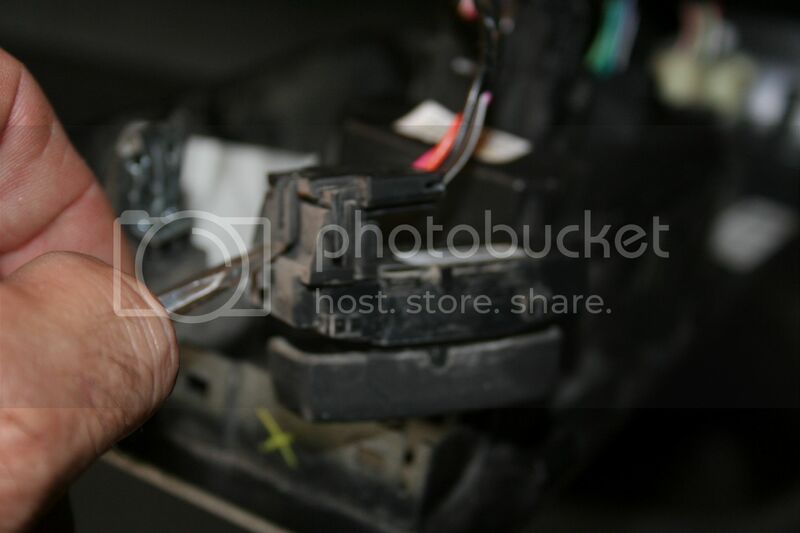 While Unlock the wiring harness plug, lift the plug from the switch. Plug the harness into the new switch. Before installing the switch into it's home... Test it. Then snap it into it's home. Chevy Silverado power door locks consist of two door lock switches and two door lock actuators, with one of each in both doors. 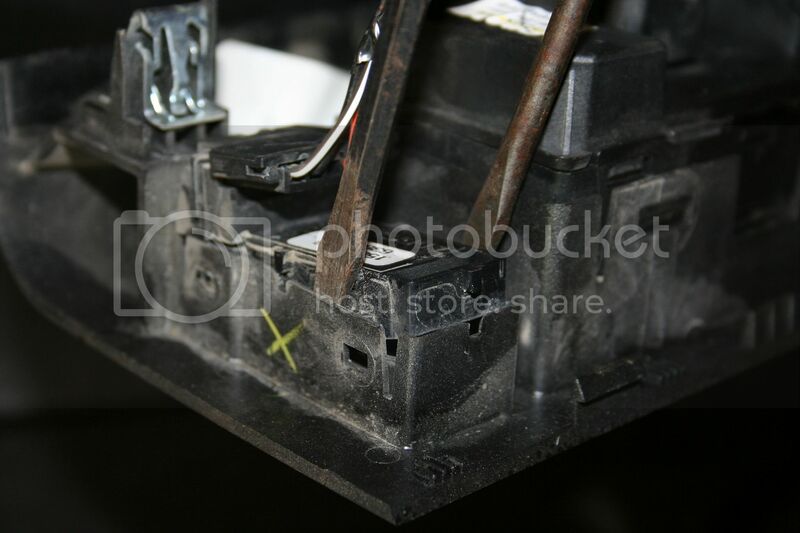 If the entire power lock system fails at once, you possibly have a blown fuse. 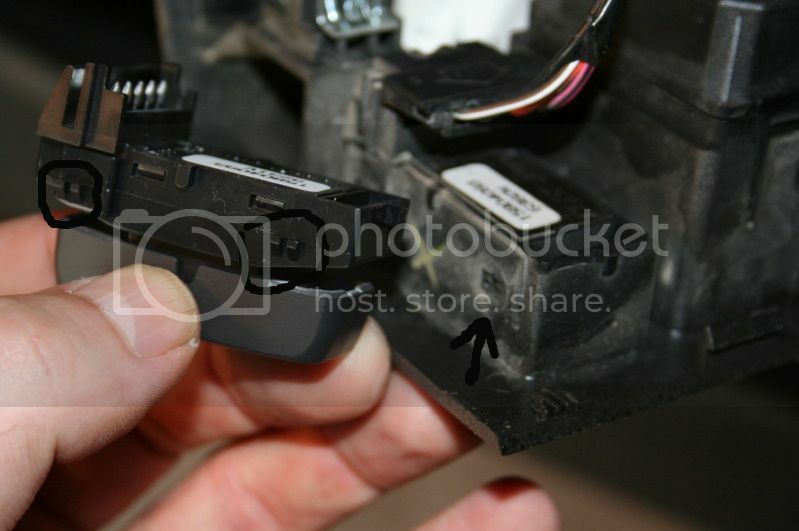 Otherwise, the lock problem will reside in the switch of actuator. Close the Silverado's windows. 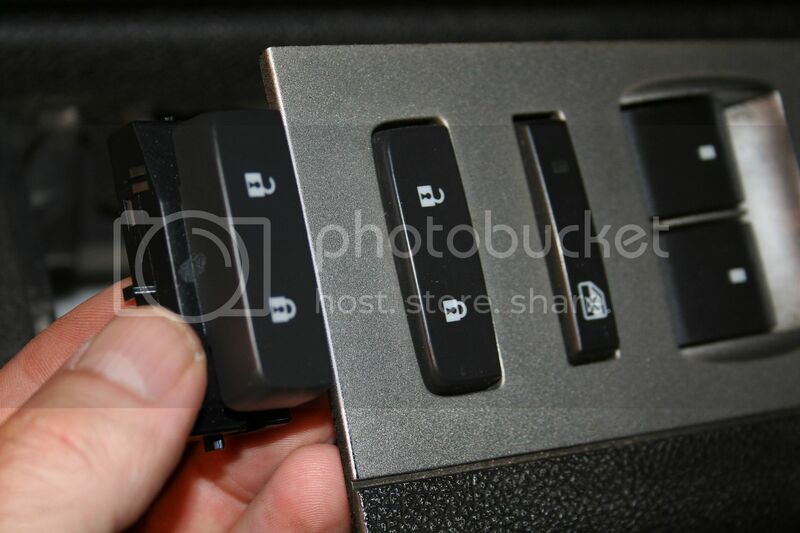 Pry the power lock switch plate out of the Silverado's door panel with the trim tool. 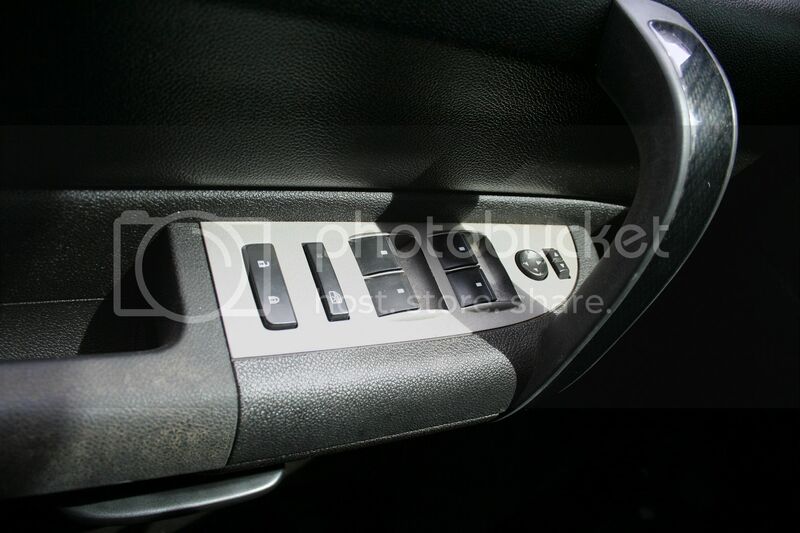 Turn the plate over to access and disconnect the wiring harness from the base of the switch.Remove the hex-head screws that hold the door panel to the Silverado's door using the socket set. 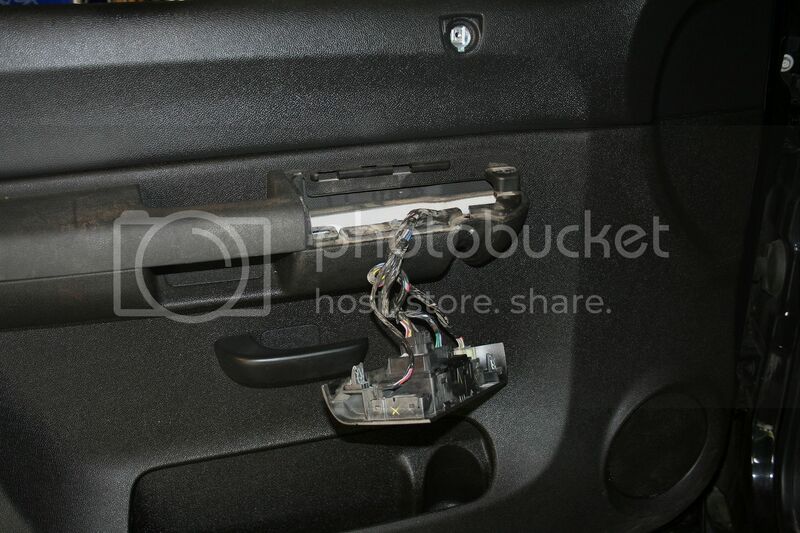 Lift the door panel up until the top of it clears the window channel and then remove it from the door by hand.Locate the Silverado's door lock actuator by following the door latch rod from the latch to the actuator. 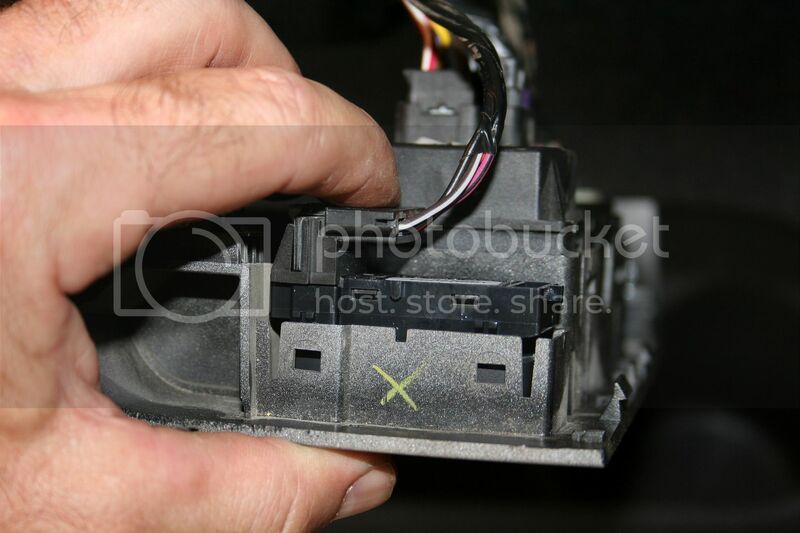 Grab the wiring connector where it plugs into the actuator and unplug it.Remove the hex head screw that holds the actuator to the Silverado's door using the socket set. Turn the actuator to remove the latch rod end from the hole in the actuator plunger. Take the actuator out of the door.Hook the new actuator to the latch rod by hand. 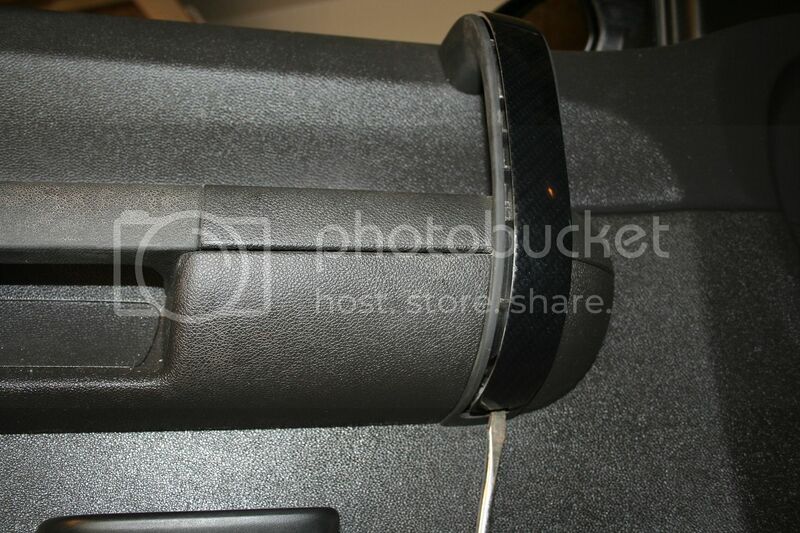 Bolt the actuator to the Silverado's door with the socket set. Plug the wiring into the actuator by hand.Reinstall the Silverado's door panel by reversing your removal method. Replace the door lock switch, if necessary, by pushing it out of the plate and inserting a new one before reinstalling the switch plate.